Undergraduate and graduate students recently presented their research at the Albert H. Small Symposium. 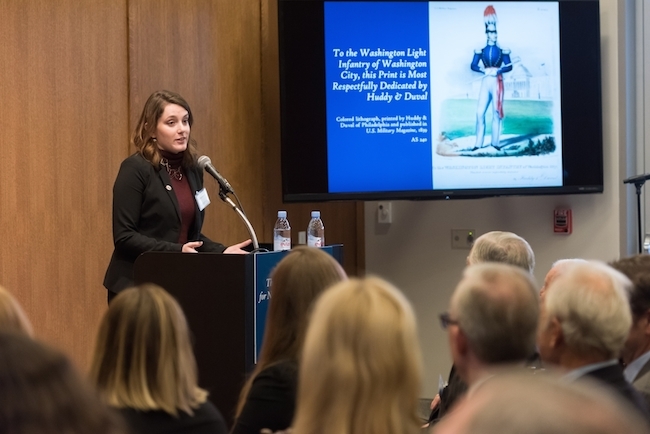 This event showcased ways students have sought to understand the intersection of local and national history through the study of the Washingtoniana Collection's artifacts. The Albert H. Small Washingtoniana Collection is housed within the George Washington University Museum and Textile Museum. Read more in GW Today!